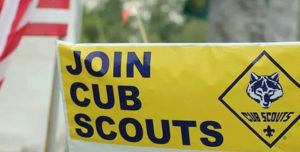 When most people think about Cub Scout recruiting, the first thing they ask is, “what works?” They’ve seen all kinds of ideas online, they’ve been told by others what worked for them, and sometimes these things seem to conflict with one another. They really, seriously want to know what works. You can search online and find lots of ideas for Cub Scout recruiting. You can find activities, handouts, and even the BSA’s own “Sign-Up Night Unit Playbook.” You can dangle the BSA Recruiter patch as an incentive for Scouts to get their friends to join. You can spend weeks or months poring over all of the ideas you find and trying to figure out what will work for your pack. Every day, it feels like it’s getting harder and harder to recruit new children to join Cub Scouts. In my area, many of the schools will not allow packs to distribute fliers to all of the kids inviting them to join. Most of the schools don’t want to allow a leader to come in and have a traditional “boy talk” to get the kids excited about joining. After all — they’ll say — if they do it for us, they will have to do it for every other youth organization and they will never have time for teaching. Regardless of how you feel about their reasoning, it is what it is. Creativity needs to be utilized to get children to join. Let me break the bad news to you right now: there is no “silver bullet” method or activity for recruiting Cub Scouts. Each pack is unique. Each location is unique. Each circumstance is unique. And recruiting techniques also have to be unique. Just because something worked for another pack does not mean it will work for your pack. But it also doesn’t mean that it won’t work. Sometimes, you just have to try it and see. Even neighboring packs in the same city will have different circumstances making each pack unique, so each needs to take a different approach to recruiting; maybe one meets on Monday nights, and the other meets on Tuesday nights, for example. But there is one thing you can do that I guarantee will work! Reply to emails and phone calls. If you are the one getting emails and phone calls for your pack and you are not responding, shame on you! I have had several parents tell me they joined our pack because they never got a response from packs closer to them; some parents have even driven 20-30 miles to come to meetings, likely passing several other active packs along the way. If one of those other packs would have replied to an email or phone call, it is likely the child would have joined their pack. Without a doubt, responding to emails and phone calls is the #1 best way to recruit! If you’re not getting phone calls and emails, is your pack’s contact information correct? Have you looked at your BeAScout.org pin to make sure it’s updated? Have you checked your pack web site? Or your pack Facebook page? Maybe there is out-of-date contact information, prompting people to call the gentleman who was the Cubmaster years ago. Is there an old, abandoned web site someone set up in the past with bad information? If you are not sure, use Google to see what comes up with various searches for your pack. No matter what you find, you need to address it to make sure any contact information that is found online is accurate. You might have to track down someone that was a leader 3 or 5 years ago, and is no longer involved in Cub Scouts. Maybe those phone calls and emails are going unanswered because they are never getting checked. Once your pack’s contact information is corrected, be sure to reply to those phone calls and emails. By doing that, you will be doing more than 90% of other packs out there, capturing the attention of interested parents. You can now invite them to a meeting to learn more about Cub Scouting and about your pack. This page copyright © 2018 by Dave Boring. Permission is granted to quote or reprint this page for use within Scouting as long as attribution is given to boringsworld.com. This site is not sponsored or endorsed by the Boy Scouts of America or any other Scouting organization.